Menzel is not alone in this sentiment. We speak with Roxanne Godoy, who relates how watching Mister Rogers when she was a little girl gave her the life lessons she still cherishes today. Godoy, who works at the Walt Disney Studio, tells us how Mister Rogers taught her to speak English, use the post office, and be kind to other people. See how kindness can make a difference in the official trailer for Won’t You Be My Neighbor? I am the child of first-generation immigrants. My parents emigrated from Romania in the 1970s, which at the time was a communist country. They relocated to Queens in New York City, which is where I was raised until I was about five or six years old. I didn’t have any cousins or older siblings or neighbors who were kids. I was kind of just around adults. 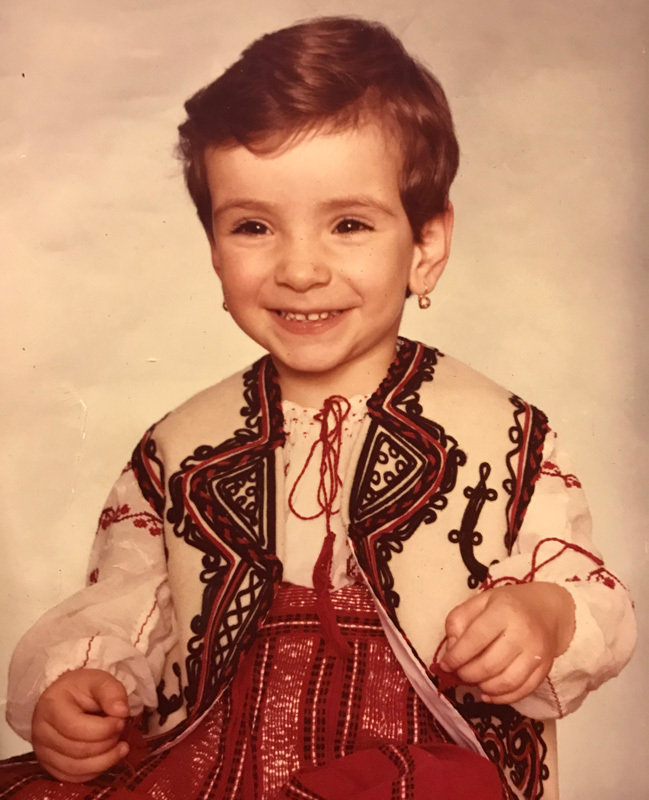 My family didn’t speak English, so Romanian was my first language. In Queens, I mostly stayed inside watching TV. How did you react when you first saw the trailer for Won't You Be My Neighbor? I started crying. Just seeing Mister Rogers was like meeting an old family member, with all those childhood emotions flooding back. I hadn’t seen Mister Rogers for a long time. I am a busy adult now with my own child, a toddler. I forget how it was for me. The trailer made me want to see more of him, remember more of his shows, because they were all such great memories. Roxanne Godoy at the age when she watched Mister Rogers. How did you first get acquainted with Mister Rogers? When I was a really young age, my mom would plop me in front of the TV while she was doing her housework and cooking. My earliest memories are of the PBS shows like Sesame Street, Romper Room, and Mister Rogers' Neighborhood. Of the three, Mister Rogers' had the strongest impact on me. I was just two or three years old, and I thought that everything on TV was real. I believed that if I could see him, he could see me. I felt that he was talking directly to me. It was like a one-on-one conversation with a family member. I watched him from the ages of two to five. What did you learn watching Mister Rogers' Neighborhood? Nobody in my family spoke English. So I learned basic English watching the show. I learned the words and begun to understand what the people on TV were saying. Obviously when I went to school I learned much more. What did you like most in the shows? There was so much. 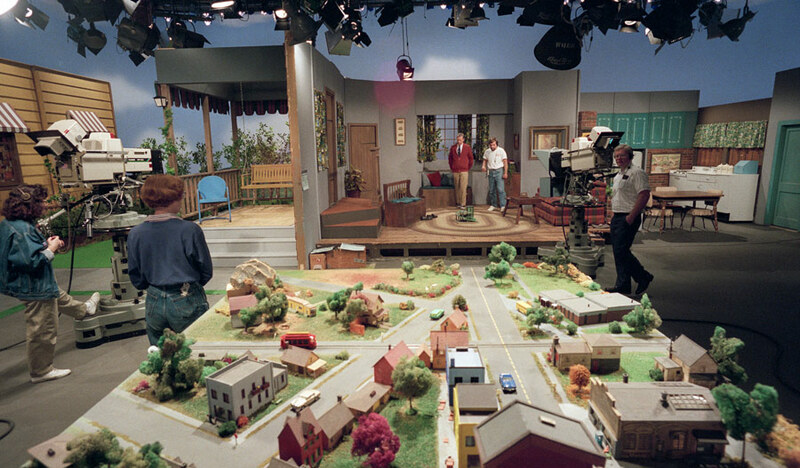 I loved the Neighborhood of Make-Believe, but what stuck out most in my mind was the real-life footage, when he would show you how things are made. I found that so fascinating. No one in my real life ever took the time to explain any of this to me. Basic stuff, like learning how mail gets sorted or seeing Mister Rogers getting his tonsils removed. It was real life and it was the first time I was getting exposed to it. Mister Rogers also talked to children about tough issues in a direct and honest way. Like how they felt about murder, or divorce, or death. What are the biggest lessons you took away from watching the show? Even though I was born here, I didn’t feel like I fit in. I had an accent and kids would make fun of me. What I took away from Mister Rogers was understanding the importance of having empathy for other people. Today, I always strive to be a nice person, to want the best for other people, to teach others how we can learn from our mistakes. From a global view, what we do day-to-day may not be that important, but how we treat each other is. 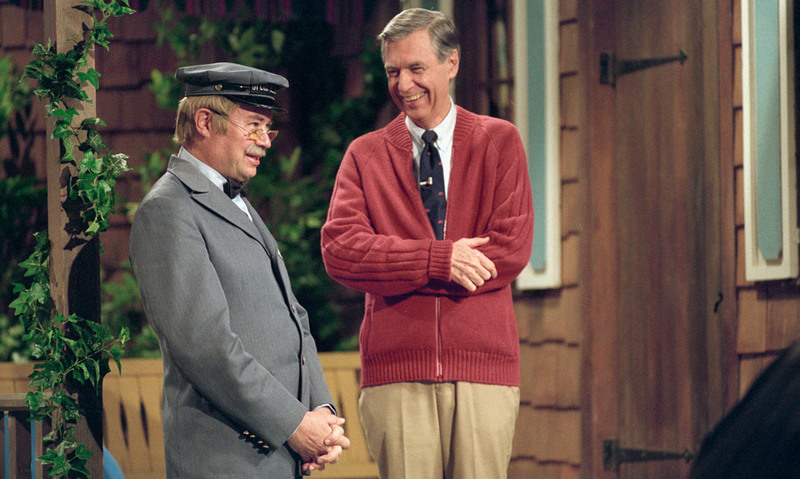 David Newell (as Speedy Delivery’s Mr. McFeely) and Mister Rogers from Won’t You Be My Neighbor? What does Mister Rogers have to teach us as a society? In the fast-paced world we live in, everything is so extreme. Things are so polarized, with half the people thinking they are right, and the other side feeling exactly the same way. How about we step into the other person’s shoes? He showed us that having empathy for someone else is so important. As an adult, what do you miss about not seeing Mister Rogers every day? For me, his show was a perfect utopian world. I grew up in an urban area. I wanted a place that was peaceful and quiet and where everyone respected each other. Mister Rogers was a father figure. I felt a strong connection to how softly and lovingly he spoke to me. I never knew anyone like that. I still don’t. Mister Rogers' Neighborhood brought to life in Won't You Be My Neighbor?